Working on this for some guys in Argentina or somewhere down there. Got the body done about midnight and while I was truing up the cover in the lathe I cleaned up the print a little. Here's another one I'm doing. Ever seen this deal??? Somebody added an adjustable jet to the idle passage. It looks like it would work if it still had the tube to the fuel supply. It's not a factory deal, somebody's idea. Might make it idle better must be what they thought. Stan you are indeed an artist. For oldies, you know what this is. 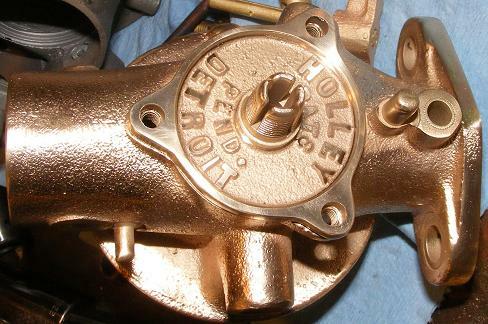 For newbies, this is a cast iron Holley G, used pretty much only in 1919. Notice the dual arm choke. That piece is made from semiunobtainum. Thanks, Norrie. If I think of it when I get them done I'll post some pictures. I usually don't have time to fool with pictures and they all start to look the same after awhile. I don't do many G's and was out of new Venturis so I'm waiting for my Lang's order. Working on a Stromberg U-1 and these today. Off to the shop. I owe, I owe, etc., etc. Only reason I'm sitting here at 9:30 is I'm working on MMC and MSC orders. Stan i'd love to see the pictures we are certainly very blessed having you around. 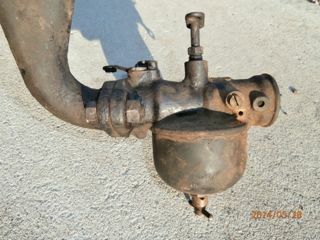 It seems the fellow who had this cast iron G tried to force the stuck throttle and broke its arm. I wonder how hard it would be to find another arm. Maybe I should try to braze it. Whatever you do Steve, just don't ruin the natural "patina" like Stan Howe keeps doing! He just keeps doing that, time after time! I've considered making him an offer on one of those "OF's that he rebuilds, and I figure that after he "ruins the patina" (like he always does) the value has probably decreased by at least half, right? "Extra" for patina! Oh man,......I'll never save up enough nickles and dimes for an "OF"! Maybe if John Aldrich finally blows up the engine in that '15 "parts collection" of his, I might be able to buy that OF he bought from you Stan! 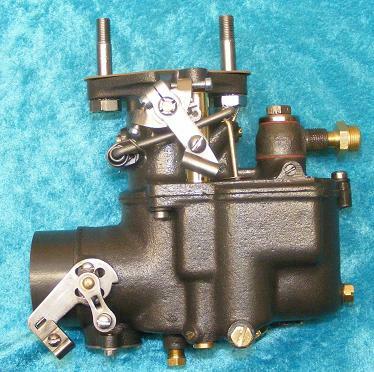 The two brass Holly G carburetors Stan is rebuilding are destined for Marcelo Fiuri and Jacinto Duretto who live in the city of Sunchales, Santa Fe Province, Argentina. Returning the carburetors to Marcelo and Jacinto is the excuse I am giving my bride to make another trip next year for the 2015 Argentina Tour. 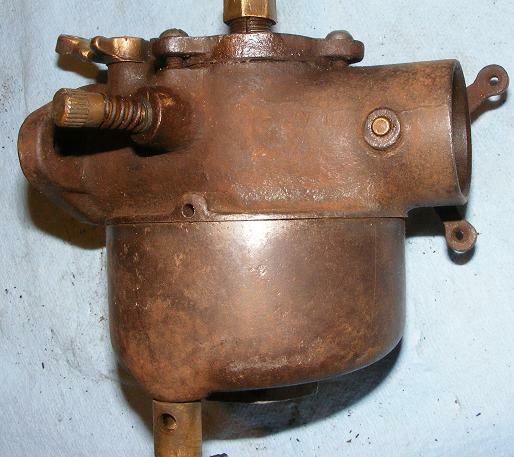 Since Stan mentioned his Holley carb was used in 1919; can anyone tell me what type of carb this is? There are no external markings; I did have it apart but may have missed any internal markings? 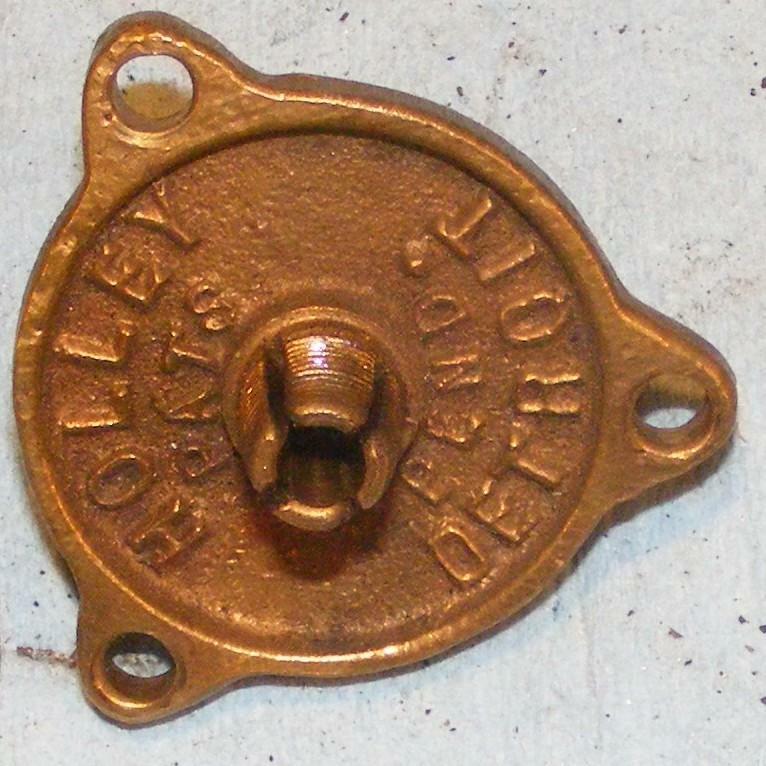 It is from a 1919 Center door. Or a wizzard. I think those 3 are all the same. Forgot to add, Stan, your work is always inspiring. Thanks again for showing your fine work. Thanks. This one went in a Fed Ex box today and hopefully will be in the New Years Parade in Temecula?? Ca. I've been working on it off and on for several months. Couldn't get it apart, had a broken off main jet that had been soldered in, lots of old repairs and scab jobs done to it since 1930. It's a U-3 special model for Franklin cars only. 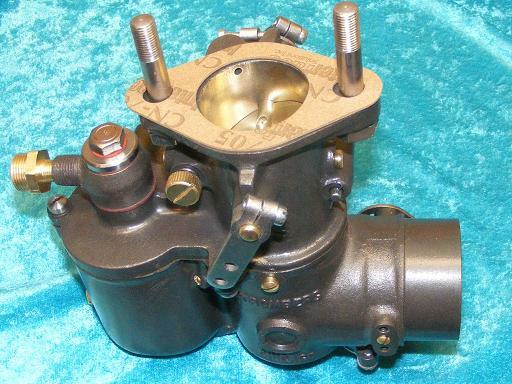 Finally got it apart, made a new accelerator pump for it, new main jet, new this, new that, throttle shaft, etc., etc. Looked for a parts carb for a couple months, made of unobtainium. Got it done this afternoon finally after making the choke stop and a new inlet bolt etc. Test ran it, put it in a box, took it to Fed Ex and sent it away. Drove out to the ranch, sat by the creek in the sun and took a nap. Long week. Beautiful work, Stan. 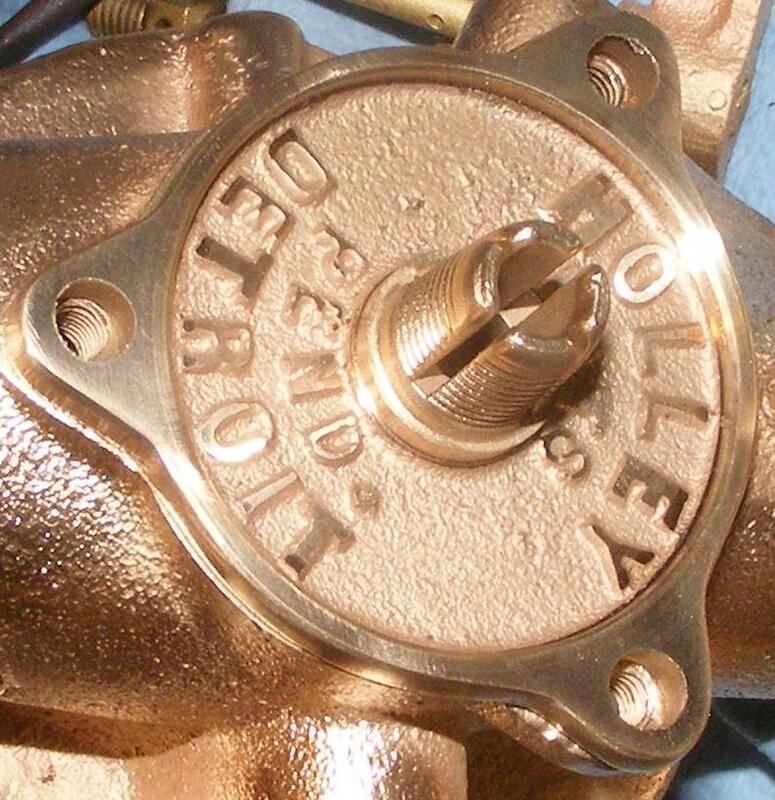 Are the Holleys both bronze, or cast iron too ? Burger, the ones I am doing for Ron are both brass and will have polished brass bowls if I can get a couple wrinkles out of them so they will polish OK. 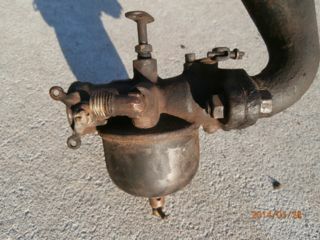 The other one is cast iron, I just posted it to show the idle adjustment screw somebody added to it. I'll probably do it too. The cast iron ones are hard to find with the correct arms and bowl. Clayton, I just drove the 20 miles out to my little "ranch" here. The Internet is amazing and has made the world so much smaller. I just got an email from Petr in Czechoslovakia saying he has received his Stromberg OE-1 that I sent him last week. A couple days ago I sent an OX-2 to England and a few days before that a Stromberg OF to England. These will go to Argentina. I have carbs in pretty much every European country from Spain to Finland as well as Russia, Japan, Taiwan, Australia, NZ, Argentina, Brazil, Mexico, South Africa and more places I've forgotten. Just about every state in the US. I should have kept track. Guess I could go back and go through the invoices but I'll probably never do it. My main web site has had almost 30,000 hits but I find that a lot of what I get in to fix is because somebody knows somebody somewhere. The OE-1 that just went to CZ is for a Huppmobile. He got my name from a member of the Hupp club in Australia that I did an OE-2 for last year. So goes the biz. Back to the shop. Nother hour to go tonight. Hey Stan, you better get off the internet and start working on my Stromberg for the speedster, I'm ready to bolt it back on! Happy Holiday's to all! Bob, I'll be back from my Carribean cruise and trip to Switzerland to ski sometime in early March so I should be able to get yours done after Chickasha or maybe Easter. Yeah, in my dreams. That's why I went back out the shop at 11:45 last night and am headed back out there again at 8:30 this morning. Need to get a few more done before Christmas trip. Birthday Monday 29th. Will be my 72nd one. Should have saved some money when I was young so I wasn't working all the time now. Let me be the first to wish you a Happy Birthday later this month. Stan, You gonna celebrate your B Day out here at the Holiday Motor Excursion in Pasadena? Thanks, Dave. Gene, it doesn't look like it this year. I am going to Tacoma for Christmas, had thought there might be some smoking deal on flights to LA Saturday night/return Sunday night; no way. It's at least $500 for the flight + all the other expenses. I can fly cheaper out of Helena than I can Seattle/LA and back. 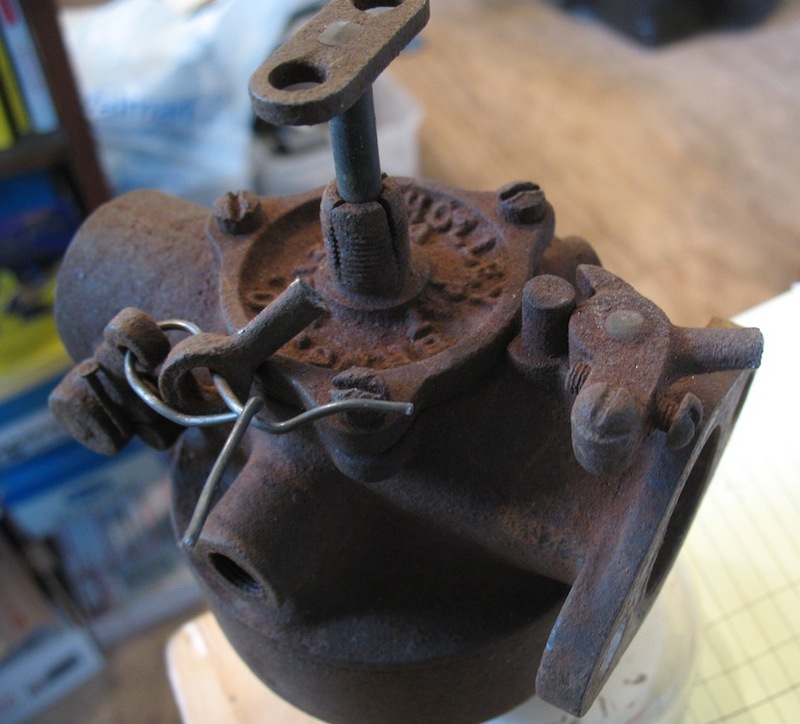 I'll probably be driving back from Tacoma on Sunday, back to the salt mine (carburetor bench). I think I'll put it on my list for next year and figure on driving or flying down, go to the HME and spend a couple days in the sun. Was going to do it last year, ended up going down in early Dec to the "Ride a new Indian Motorcycle" show in Long beach with my brother, couldn't do two trips. I appreciate the thought, tho. earliest it's going to be in the mail is the 31st. Maybe later. Here is where I spent yesterday. Guns for Christmas. It's a Montana thing. How many 14 year old straight A student girls would be excited to get a .22 Henry Golden Boy for Christmas. One for sure. Model T content: I won a Henry Golden Boy .22 at a Festival I was playing in Idaho this fall. Nice little gun; I'm not much of a gun guy but I thought it was really nice, made in America, etc. Thought I'd like to get a couple for the kids. No Money! Thousand bucks by the time I get the guns, the cases, the ammo, etc. Look around for something to sell. TT setting in the back yard for the last 20 years -- I figured I would never do anything with it so I put it on the classifieds, sold it for $1400. Covered these two guns and one for myself. He got a .17 Golden Boy, I got a .17 standard Octagon barrel, we all got ammo, cases, etc., and the guy who bought the TT will be happy because he got a smokin' deal on it. 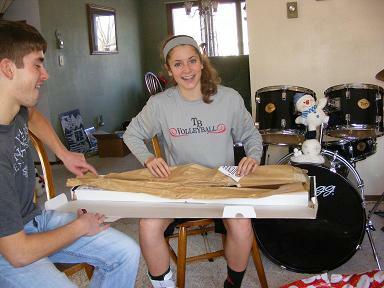 She will never be 14 again, he is off to college next year, it was do it now or don't do it. I've got more TT trucks. Stan, you wouldn't happen to have any pictures of what's under that cover would you? A picture with all the wee parts laid strewn about it, hmmm? Whilst you're at it Stan, if you happen to have taken any inside parts pictures of the Stromberg OF I'd like some of those too. Martin, I sent a bunch of photos of the G to your regular email again the other day. Next time I do an OF I will try to take a set of pictures and send them to you. Stan, could you please send them again, I've been having a wee bit of trouble with my email lately and had to make a few adjustments.